A cruise ship drops anchor in the George Town harbor on Grand Cayman, tearing up a coral reef. Mike Scott is trapped inside the reef while scuba diving and nearly dies. A car is hacked and runs into George Town harbor, nearly drowning the driver. Somehow, it’s all connected. When all of the island’s communications are shut off from the world by an environmental terrorist, it is up to Mike Scott and his friends to put a stop to it. When they discover there is something else going on entirely, they realize the whole world is in danger. “Return to Cayman” is a good summer read — fast and furious — with the occasional slowdown to admire the scenery. In true thriller fashion, the novel provides not only an exciting ride, but a greater awareness of what’s happening in our oceans. Cat Pleska, WV Book Team, Charleston (WV) Sunday Gazette-Mail. 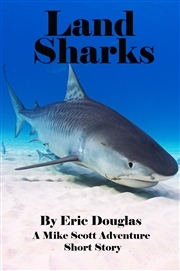 Five Stars: Great Read for Divers and Lovers of Cayman! ALTross: Eric Douglas – Thank you for writing such a fun and exciting novel, I finished it in a few hours. 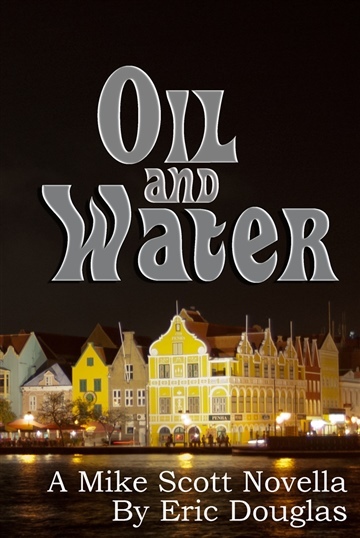 Love Cayman, Sunset House, Diving and Technology all wrapped into one lovely thriller! Great work and highly recommend to all my Cayman friends and Dive Buddies around the world… Love that part of the proceeds are going to the Cayman Magic Reef Restoration effort through July 31st! 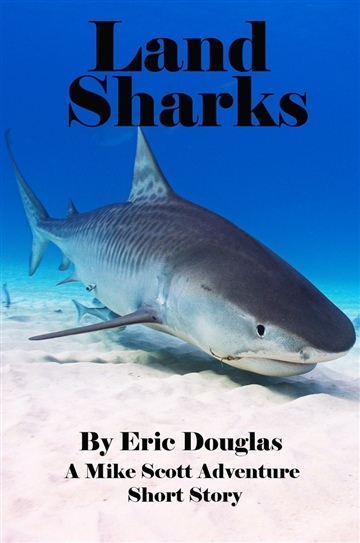 Bryce Clifton: I have read just about every book Eric Douglas and they have all been an adventure on their own. They have kept me up late more than once as I was unable to put them down once I start. Loren Holt, reviewer for the I Saw Lightning Fall blog. From the beginning, I was impressed with Eric’s writing style. His Mike Scott adventures continue to be at the top of my must-read list with every new release. The latest brings Mike back to the Caymans where the series began. It’s just good writing that paints a vivid picture and tells a story comparable to a summer blockbuster action movie. “Greg The Divemaster” Holt: Host/Producer of ScubaRadio….the world’s first and only nationally syndicated radio show devote to diving! Get ready to lose some sleep. Mike Scott has returned to Grand Cayman for a celebration. Little does he know that his world is about to turn upside-down. 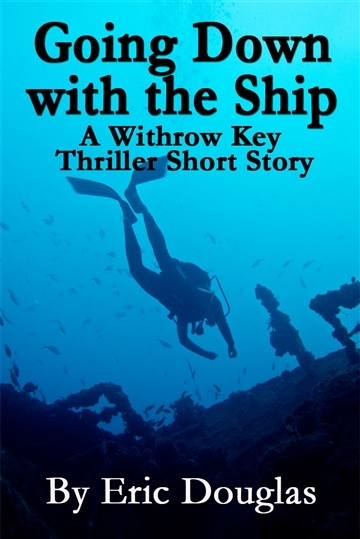 Tech, intrigue, scuba diving and international conspiracy–all the right ingredients for a gripping Mike Scott adventure novel. 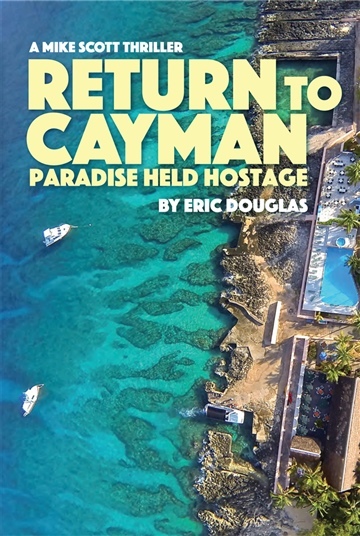 RETURN TO CAYMAN is a hold-onto-your-seat, destination thriller filled with eco-terrorism, computer hackers, cybercrime, drones, attempted murder, hostage-taking (of an entire island! 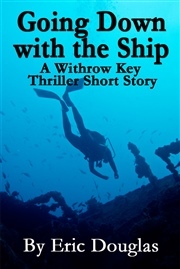 ), and expertly written scuba diving scenes. This Bond-like ride is filled with international characters, including brainy Italian and Russian beauties, plus the best Bond Girl of all: the stunning Grand Cayman Island herself.